This weekly newsletter from Prestige Economics and The Futurist Institute keeps you informed about current economic and financial market developments, as well as new technology and long-term futurist trends. Our weekly podcast includes topics about markets, business, and future technology. This week's podcast is about Tariffs, Trade, Inflation, Industrial Metals Prices, and SXSW 2018. 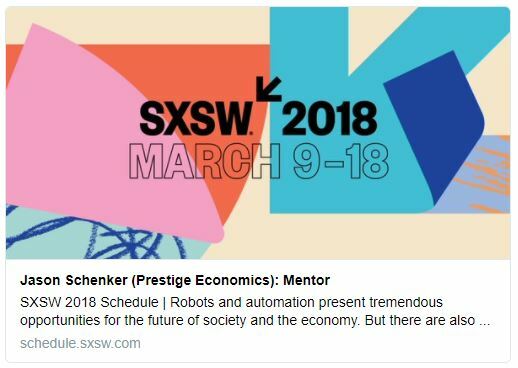 Jason Schenker, Chairman of ​ The Futurist Institute , will be holding Mentor sessions at SXSW in Austin, Texas on 10 March. If you will be attending SXSW, please let us know! Jason Schenker is the most accurate financial market forecaster in the world. In his role as the Chief Economist of Prestige Economics , Bloomberg News has recognized Jason Schenker's forecast accuracy in 40 different categories for economic indicators, foreign exchange rates, energy prices, metals prices, and agricultural prices. 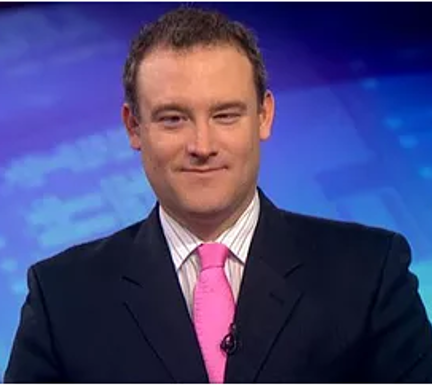 In total, Bloomberg News has ranked Jason Schenker the #1 forecaster in the world in 24 different categories for his accuracy. Jason Schenker is also the Chairman of The Futurist Institute , which helps analysts and economists become futurists. DISCLAIMER: All commentary provided by Prestige Economics, The Futurist Institute, and Jason Schenker is not investment advice. This is commentary intended for general information use only. 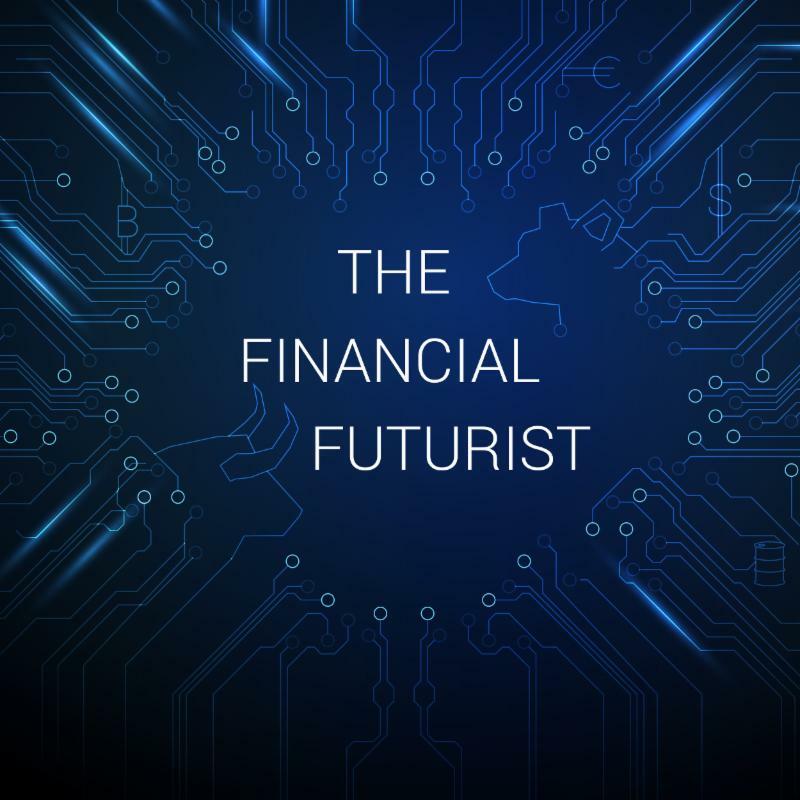 Prestige Economics, The Futurist Institute, and Jason Schenker do not make recommendations on any specific or general investments, investment types, asset classes, non-regulated markets (e.g. FX, commodities), specific equities, bonds, or other investment vehicles. Prestige Economics, The Futurist Institute, and Jason Schenker do not guarantee the completeness or accuracy of analyses and statements, nor do Prestige Economics, The Futurist Institute, and Jason Schenker assume any liability for any losses that may result from the reliance by any person or entity on this information. Opinions, forecasts, and information are subject to change without notice. Reports do not represent a solicitation or offer of financial or advisory services or products, and are market commentary intended and written for general information use only.